Pokemon Candy and Legendary Pokemon will also appear in the new Switch games launching this fall. This November, Pokemon: Let’s Go, Pikachu and Let’s Go, Eevee will launch for Nintendo Switch, allowing kids of all ages to go on an adventure in a world inspired by Pokemon Yellow, which was released on Game Boy in 1999. The Let’s Go games will offer a more casual experience than traditional Pokemon role-playing games, and they’ll connect to Pokemon Go -- the mega popular mobile app released in 2016 -- in a super exciting way. 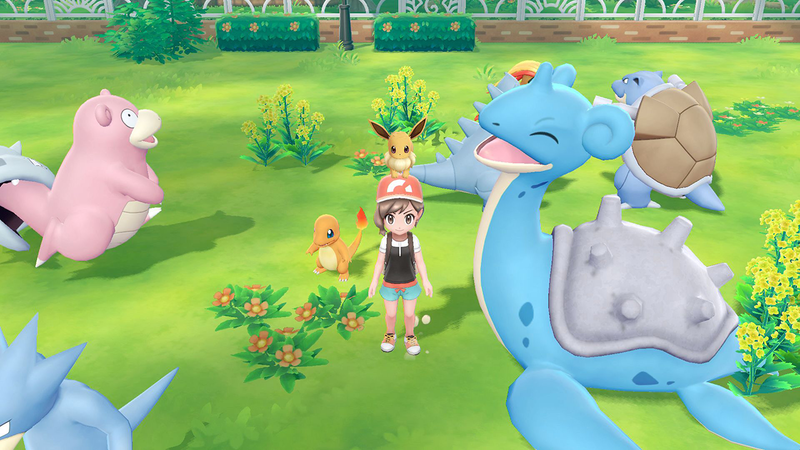 Players will be able to connect their Pokemon Go account to their Let’s Go game via a Bluetooth connection, and then transfer critters from their smart device into the Switch game. When a Pokemon is transferred from Pokemon Go, it will show up in the GO Park in Let’s Go, Pikachu and Eevee. This GO Park is in the in-game location of Fuschia City, and it’s actually split into 20 different sections, which can each hold 50 different creatures. This means players will be able to have up to 1,000 Pokemon in the GO Park area. This includes support for the Alolan Pokemon players can collect in Pokemon Go, which will keep their special form when transferred into the Let’s Go games. Don’t have 1,000 Pokemon to transfer? That’s perfectly ok. Players will be able to connect multiple Pokemon Go accounts to the same Let’s Go save file, so if their friends or family want to share some of their own creatures with them, they totally can. When users want to take a Pokemon out of the GO Park and add it to their team, they’ll first need to find and catch it in the GO Park itself. Since the GO Park can hold so many individual Pokemon, players are bound to wind up with duplicates. This is actually encouraged, since having 25 of the same species of Pokemon in the overall GO Park complex will allow players to play a special mini-game where they can win Candies. These Candies can be used to make Pokemon stronger by raising their individual stats. Players will be able to collect multiple kinds of Candies, each with a different effect. For instance, one may improve a Pokemon’s attack, while another may improve its Speed. In addition to earning Candies through the special GO Park mini-game, players can earn Candies by transferring extra Pokemon to Professor Oak, and by taking Pokemon for a “walk” in the optional Poke Ball Plus accessory that’s launching alongside the games this November. 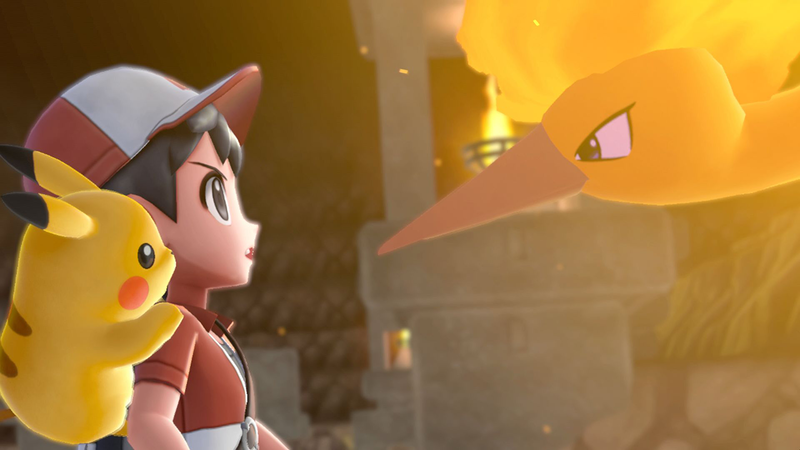 We also now know that Legendary Pokemon, such as Articuno, Zapdos, and Moltres, will be available to track down and capture in Let’s Go, Pikachu and Eevee. Unlike traditional Pokemon games, where the goal is to whittle down (but not completely eliminate) a Pokemon’s health before attempting to capture it, players will need to totally defeat these Legendary Pokemon in battles before having a chance to capture them. Pokemon: Let’s Go, Pikachu and Let’s Go Eevee are set to launch on November 16 for $59.99. Each game can be purchased on its own, or in one of two bundles. One bundle contains the Poke Ball Plus accessory at a price of $99.99. The other bundle contains a Pikachu- and Eevee-themed Switch console, the Poke Ball Plus accessory, and the Let’s Go game of your choice for $399.99. Need help deciding whether to pick up Let’s Go Pikachu or Eevee? Check out our complete guide to learn the differences between both games.